Children learn and grow so much throughout first grade. 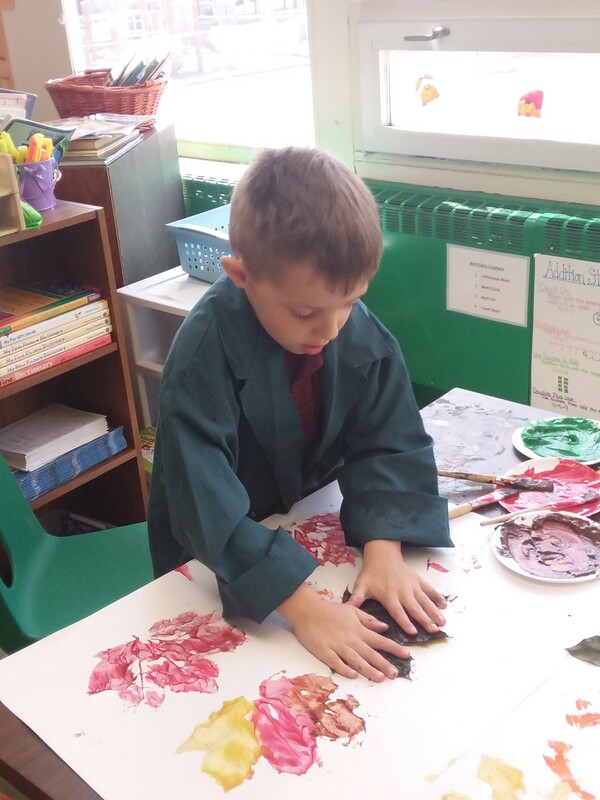 When they are engaged and active participants in their learning, growth and success can be seen! *Please be reminded, daily communication is posted at Parent Square. Homework is posted daily, as well as information about topics covered in class. We are busy at work! Hello! 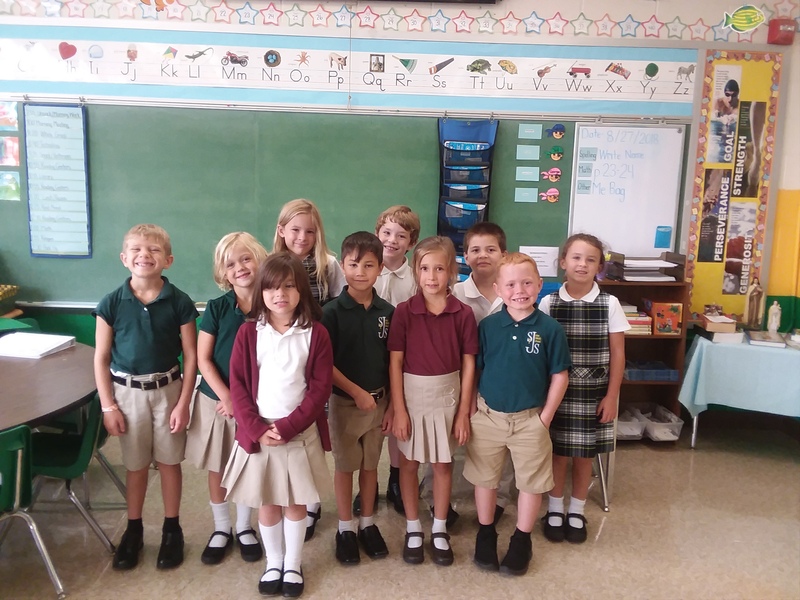 I am the first grade teacher at St. Joseph School. I have been teaching at St. Joseph for twelve years. Through my experiences, I have taught a variety of children from preschool to eighth grade. I attended Bloomsburg University earning a degree in Elementary Education with a minor in Educational Technology and a Masters in Exceptionalities. At St. Joseph School, I am the Science Explorers advisor, member of the Academic Excellence Committee, help at ASP, and participate in the Catholic Schools Week Committee. I love working at St. Joseph School because of the family atmosphere and how willing everyone is to help each other. The first-grade curriculum has a balanced literacy approach which stresses the importance of reading, comprehension, fluency, phonics, spelling, and grammar. In addition, students follow the Go Math Math program. Students are immersed in a variety of mathematical concepts and have the opportunity to apply these concepts to everyday situations. In addition, there are opportunities for instruction in Science, Social Studies, Religion, and Handwriting. Whole Group Language: (Phonics, Spelling, English) Whole Group begins our study in Reading. This is a specific time set aside for instruction in Phonics, Spelling, and English. During Phonics, there is specific instruction in letters, letter sounds, and how letters and words work together. In Spelling, children work on patterns in words. Students learn how to use these patterns and translate the skill to reading and writing. Finally, in English, children develop a concept of grammar and work to implement the skills taught into their reading and writing as well. Areas of study include parts of speech, types of sentences, literary terms, and ABC order. Leveled Reading: During Leveled Reading, students work in small groups with the teacher at their individual, instructional level. Students work on reading strategies, comprehension, fluency, as well as a variety of reading topics and skills such as characters, details, and sequence. Homework is assigned on the reading, vocabulary, or skill taught during the lesson. Reading Centers: While some students are working in small groups, other students are participating in literacy and math activities. Typical stations include Word Work, Writing, and Math. During this time, children explore working with new sounds and words, vocabulary which correlates with the Phonics, Spelling, and Reading, creating personal pieces in journals, hands on activities in Math, reinforcement of material covered, and enrichment opportunities in the content areas. Math: Child use the math series, Go Math. Students are encouraged to develop critical thinking skills using the "how" and "why". Fluency in math facts us highly encouraged. A typical math lesson involves whole group instruction, hands on exploration, followed by independent practice. Writing: Throughout the year, students explore a variety of writing skills which include personal narratives, creative stories, instructional pieces, research skills, and poetry. During structured writing time, a skill becomes the focus of the lesson. Students are given the opportunity to practice the skill in their Writing Folders. While individual students are writing, one on one writing conferences occur between the teacher and student. During this time, the student will read their pieces and the teacher will model adult writing. In addition, the teacher and student will decide on a writing goal or their next meeting. The goals are individualized to the needs of the child. Science: Science concepts are presented weekly using the STEAM method. Students are introduced to the sciences through a hands-on exploration approach involving Science, Technology, Engineering, Art, and Math. Topics are covered in the earth, life, and physical sections of science. Social Studies Social Studies concepts are presented weekly as well. Social Studies covers a range of topics including, community jobs, important symbols and people of our country, land resources, landforms, ecology, and map skills. Religion: During Religion, children learn about the Catholic faith and creating sense of value of serving others. First grade students also work with eighth grade students as part of a peer mentoring program. The students work together on religious activities and are partners during attendance at Mass. or by calling the school at 275-2435.